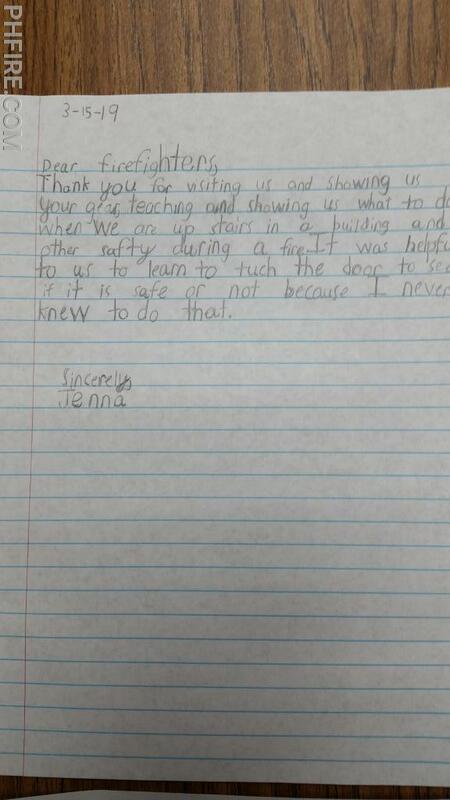 Betsy-Ross 2nd Graders- We Got Your Mail! 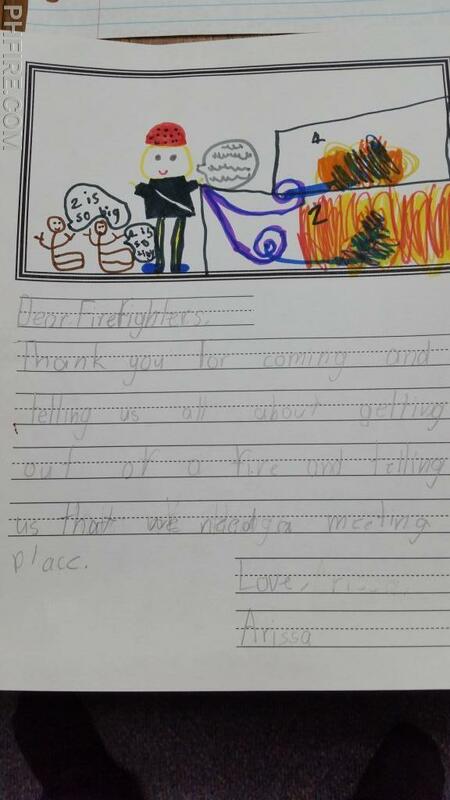 The Prospect Heights Fire Fighters were all smiles reading letters from Betsy Ross' 2nd Graders. 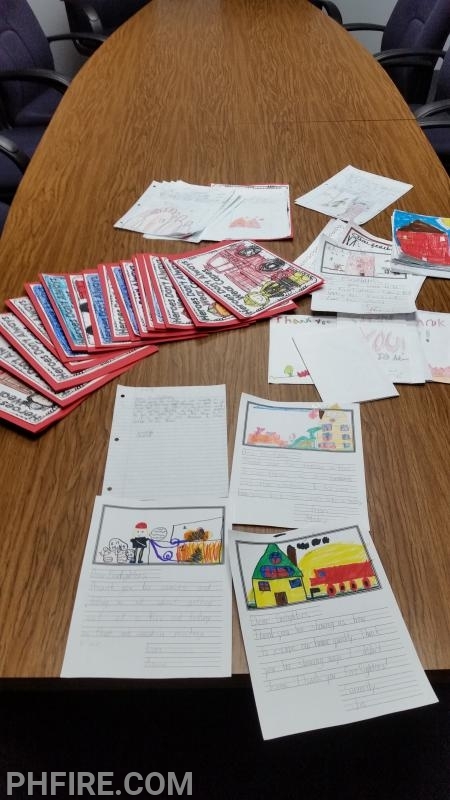 Approximately 350 letters were delivered to the fire station from Betsy Ross Teachers, along with COOKIES! Thank You for the cookies, but more importantly are the letters. We read your letters and heard back from those young kids about the safety message they absorbed- and that's the REAL TREAT! Thank You for the letters concerned for OUR safety, but remember that you help us when you get out and get to your meeting place. The Fire District asks EVERY family- Have a meeting place that is safe and visible, so we can be informed when we arrive if everyone is out of the building that is on fire........ Get Low and GO!